If you have a damaged furnace or AC unit, you might understand just how important having a HVAC service company on hand that you can trust. Even if you just want new systems installed in your home, you can benefit from calling a quality HVAC service company. However, a quality HVAC service company does not just pop up out of nowhere. Here’s a few tips that can help you locate one. You will be amazed at how much information that you can find on the internet these days. By searching for a heating repair company through search engines like Google, you will learn that most of their top providers are listed on the first page of the search results. This makes it much easier for you to go down the line and obtain information from the most experienced professionals first. Many top quality HVAC service providers will have websites up allowing consumers to access important information about them. This information includes services offered, contact information, history of company, rates, areas serviced, reviews and much more. There website is where you will get a first hand impression of the type of company you will be dealing with. When calling a contractor, you will have to provide them with information such as the model of the unit that needs to fixed. You will also have to revisit the last time your unit was repaired. 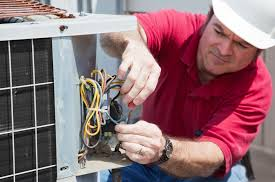 Because every heating and AC unit repair technician is not experienced in dealing with all models, you do not want to waste your time making an appointment with a technician who cannot assist you with yours. Once you have a few experts in mind, it is time to narrow it down by asking about products that are energy efficient. Your technician should have an extensive knowledge of the products they offer including those on energy efficiency, and be able to perform tests proving it. A good technician will give you options and make recommendations based on your unique situation. Before you pick your technician, be sure to obtain quotes or estimates from several different companies. Some technicians charge for estimates while others don’t, but those that do not often charge you for other things. Be sure to get written estimates showing you exactly what you will be paying for. Some companies will go back and try to charge you extra for other services performed without telling you, causing you to spend more money than you anticipated. This is the time that you should be asking about warranties and any guarantees that the company offers, as well as special discounts. While it is imperative that technicians provide you with all of the information needed, it is up to you as the consumer to ask the right questions. Some companies will not volunteer all the information that you need to know. Choosing a HVAC service technician should not be hard, and now that you have a few tips to help you decide on the right one, it won’t be. This entry was posted in Heating Services by admin. Bookmark the permalink.